By James Conroy; Journalist – former Assistant Psychologist – Technical Communicator – Connector – Contributor @Irish_TechNews. I first met the Doudy brothers – Mikhail and Sergey – during the Virtual Reality World Congress in Bristol and more recently at the Latitude 59 conference in Tallinn, Estonia. Latitude 59 is the flagship start-up and tech event of the world’s first digital society which is now in its 10th year. Having moved to Georgia from St. Petersburg with their parents in 1995, the pair subsequently went on to graduate from Georgia Tech with degrees in industrial engineering (Mikhail) and mechanical engineering (Sergey). The duo always had a passionate interest in technology, where a young Mikhail “made rockets, gunpowder from scratch, and trebuchets in school”, while Sergey’s fascination with automotives and electronics inevitably led them down similar trajectories. After spending years in the consultancy world and working for Panasonic, John Deere and Manhattan Associates, Sergey decided to buy a one way ticket back to St. Petersburg in pursuit of new opportunities and Mikhail soon followed. 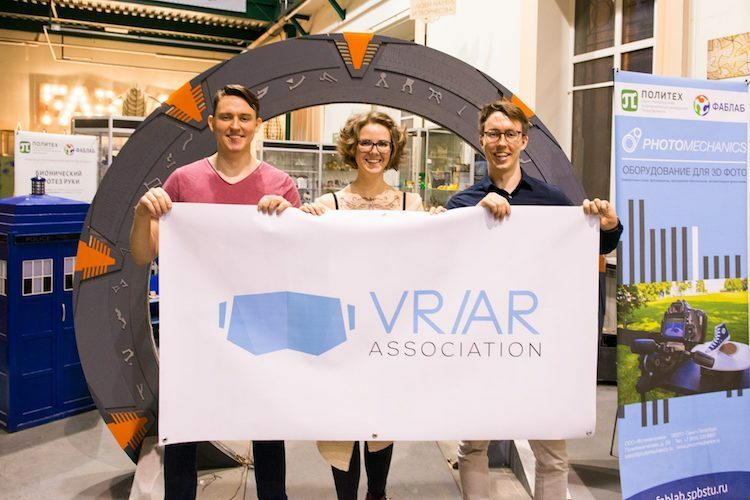 Since their return the brothers have become well-known faces on the VR (Virtual Reality) and AR (Augmented Reality) scene and recently took the reins as co-presidents of the VRAR Association’s Russian Chapter. I recently caught up with the brothers to find out what’s next on their radar. So why Virtual Reality and Augmented Reality? Sergey: We soon realised that our backgrounds were really useful – being Russian/American – it really pushed us forward. We got back in the tech scene and became really obsessed with VR/AR and decided to start pushing those technologies forward in Russia and became the co-presidents of the Russian chapter of the VRAR Association. Thank you all for such a successful #VRARA Russia Q1 Event! What about the technology excited you? Sergey: Well VR/AR is interesting because it’s a potential tsunami. I mean, myself and Mike talked about it potentially becoming the next ‘dotcom boom’ – although we all know what happened to that later, it crashed – but this is definitely a more slow moving process which is a good sign because if you get into the game early you can be there and grow with it. Mikhail: Every single aspect of VR and AR is amazing. It can affect every single aspect of your life. It can affect every industry. Every single thing is bound to be affected by it. Anything you can image that’s physical can be replaced virtually. A lot of problems humanity has can be helped through augmented and virtual reality, even in terms of poorer countries like India who can’t teach doctors because of limited physical equipment who could be educated through virtual reality. You can just create one software and then transfer it to billions, to everyone. Is there a risk that this technology will make people more anti-social – a point often cited about mobile devices? Mikhail: I don’t think VR will make people more anti-social, I think it will actually make them more social. So with Altspace VR – the social VR app – I was communicating with people in Germany, California, communicating with them all in the same room and it was amazing. It makes the world a whole lot smaller and opens opportunities. I was even in a virtual club with people dancing and I was like ‘wow, I’m as socially awkward in VR as I am in real life’. So what about when it becomes more realistic, what’s the difference. Sergey: Social VR can actually improve social skills… When people are texting and writing to each other their written-English suffers greatly. They get lazy. In VR you can talk again, and it can help people communicate and interact in a more social way where you actually have to speak. Mikhail: I agree with Serge there, I think texting is actually a low point of technology, when you think about Facebook, it’s just pictures, words… letters essentially. So once Facebook implements VR which everyone sees is happening, it’s going actually come back to talking, seeing body language, being able to see more emotions and feel more emotions. Sergey: I think outside of the social aspect completely we can see tourism as a great example. I know a lot of my friends in the US from the south are a bit sheltered and haven’t been to places like New York or California. Travelling to Canada would be like travelling to the moon. It’s crazy. VR makes it very easy to travel to new locations and in a way it could be the actual stepping stone to make people really go somewhere. If they do it in VR they might think, ‘this isn’t so scary’ or ‘this place looks cool’ – Venice or London for example – and then they get a feel for it and might actually go in real life. What did ye take away from Latitude 59 and what are ye trying to achieve for St. Petersburg? Mikhail: There’s three cities, everyone knows Tallinn, then there’s Helsinki and St. Petersburg, and they are very close to each other with tech scenes that are moving very fast. Tallinn and Helsinki are already working with each other with a lot of investments coming into them and Estonia is very forward thinking in terms of start-ups and entrepreneurship. St. Petersburg is doing this also but there’s also a huge gap. I recently read some information about Russia where the engineers and entrepreneurs in Russia are second only to Silicon Valley and Russian entrepreneurs have huge experience working on big projects, yet there’s a gap in terms of investments. 96% of investments in Russia are from within, so only 4% external. So the best talent and no investment which is obviously influenced by sanctions, but this also means opportunity to help St. Petersburg work with cities like Helsinki and Tallinn to drive the ecosystem in all of these counties forward. We’re still developing concrete step but this is big scale. We see this as an amazing opportunity to help everyone work forward. We heard at Latitude 59 about the big plans Finland and Estonia – from the proposed Hyperloop to IoT companies like Sigfox working with Connected Baltics and Connected Finland – is the plan to help bring some of that attention and investment to Russia, or to potentially connect some of the Russian talent to move outwards? Sergey: I think it’s a bit of both really. Say you have a start-up idea or group in Tallinn who maybe don’t have the greatest network or investment yet, I think this ecosystem could help these companies – the ones with good ideas – to tap St. Petersburg for talent or activate them in all three cities to move forward. The goal is to create a massive network, an ecosystem, where you can almost tap talent, investment and resources from each one of the cities in a massive pool. What would you say to players a little further afield – such as in Ireland – who might hear what’s happening in locations like Tallinn, Helsinki and Finland and want to find out more about these ecosystems? Sergey: First we want to focus on building a core structure here but then we’d love to start reaching further out in Europe and elsewhere to people who want to reach out. Currently our focus on Scandinavian countries, the Baltics, and at that point, definitely countries further afield like Ireland who are coming on the scene. Mikhail: We’re focusing on a niche location and of course there are many niches in technology. So we’re focusing on these three cities, but this is a long term plan. Right now we’re focusing on tech start-ups and early to mid-stage entrepreneurs but if there’s any very keep entrepreneurs in Ireland or in Cork that would like to talk to us they should definitely get in touch. Sergey: Or if they know about similar ecosystems, they should connect with us to discuss similar case studies, successes and failures. Yesterday we were talking to someone in Amsterdam who’s looking to start an accelerator there and trying to connect an ecosystem between Paris, Berlin and Amsterdam. So we’re connecting, learning and moving forward faster and maybe eventually we’ll even collaborate together. Next ArticleToday is International Selfie Day, here’s an A-Z glossary of Selfies from Belfie to Helfie to Pelfie!